We welcome you in our charming bed & breakfast, situated near the old canal towards Axel. 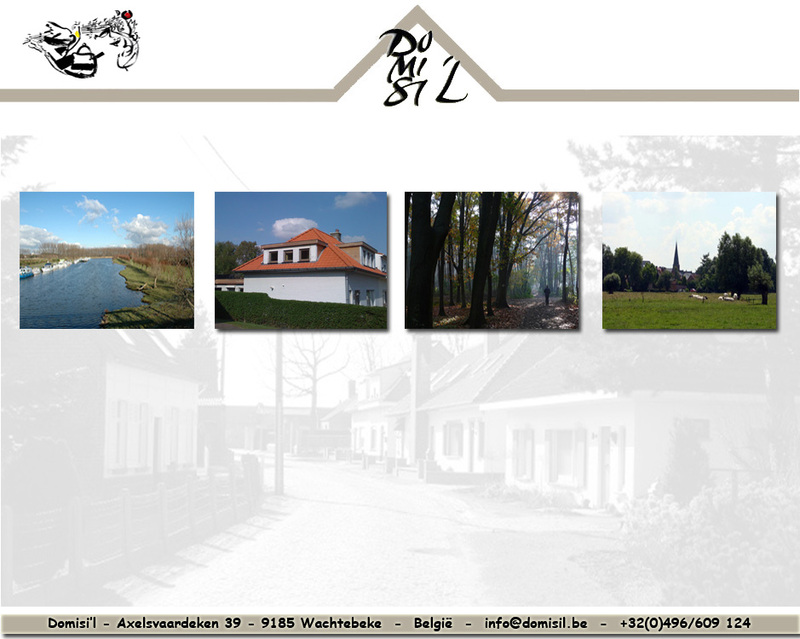 In the rural village Wachtebeke, you can enjoy exclusive comfort in a haven of peace. The house, renovated in 2008, offers you 3 bedrooms, 2 bathrooms, a luxurious kitchen, breakfast- and living room, and a romantic garden with sunny terraces. All accommodation is provided to make your stay as comfortable and relaxing as possible. An elaborate culinary breakfast is served to you in the breakfast room, the dining room or possibly in the garden. For the business traveller, all facilities are present to make him/her feel at home at “Domisi’l”. Along with the pleasant interior, Internet (WIFI), television and a writing table are provided in the bedroom. The service for a stay of a longer period (business and holiday stay) is separate from the bed and breakfast formula. Our home is smoke free and to maintain the feeling of blissful calm, pets are not allowed. Your hostess will gladly give you information and tips about possible activities (golf, tennis, swimming, horse riding, walking, boat and cycle trips alongside beautiful woods, creeks and rivers, …) and can also recommend you a number of good restaurants. Domisi’l stands for peaceful calm!